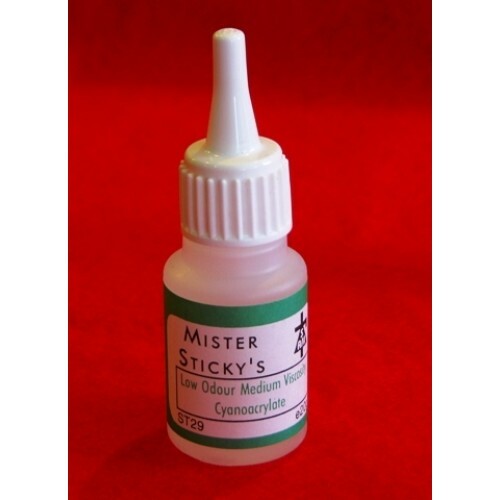 The MEDIUM viscosity SUPERGLUE is suitable for situations where a fairly rapid bond is required. This product has the added bonus of having virtually no smell [a bonus for those who cannot work with standard Superglues], does minimul [if any] damage to foam, and no blooming to surfaces [where this would be a problem]. The Medium viscosity also makes it suitable for precision application where the surfaces are fairly close fitting, allowing a small degree of gap filling to take place.. Suitable for bonding: Leather, ceramic, rubber, paper, metal, most plastics, china, wood, stone etc.